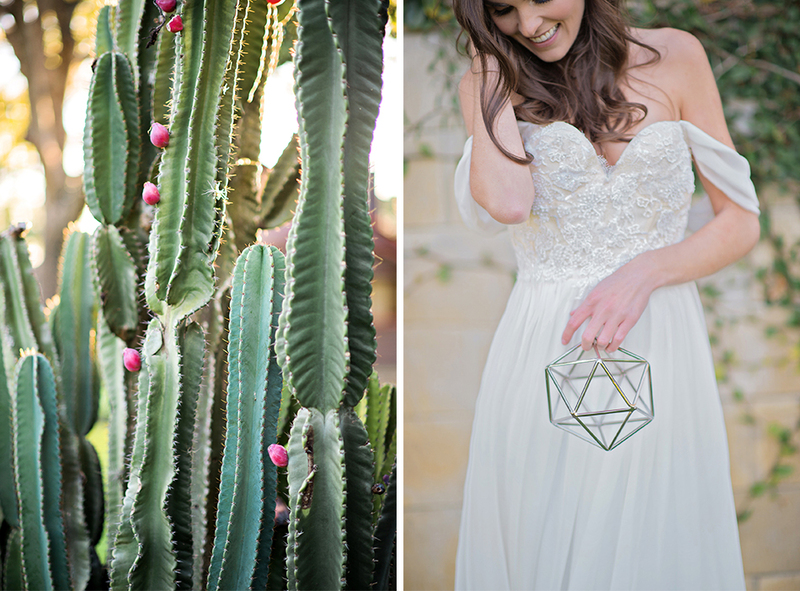 As an intern at Kristen Weaver Photography, my final project entailed planning and executing my first inspiration shoot. I was held responsible for creating an overall vision and idea for the shoot, finding and contacting vendors that I wanted to work with, and being present the day of to make sure every thing ran as smoothly as possible. It was an incredibly rewarding, and at times stressful, experience that truly taught me so much. 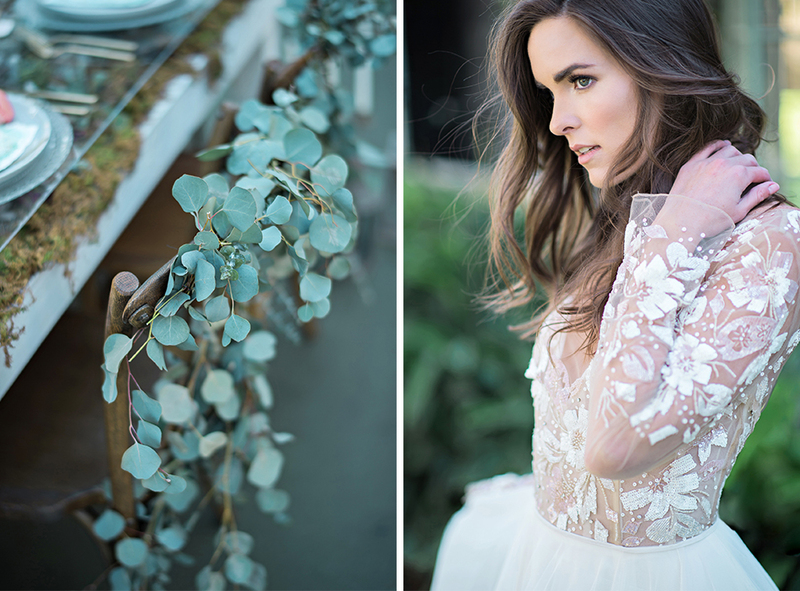 I am thrilled to share that our shoot was featured on Ruffled on March 17, 2016! Narrowing down my ideas to a single concept was one of the most difficult aspects of the planning portion of the shoot. 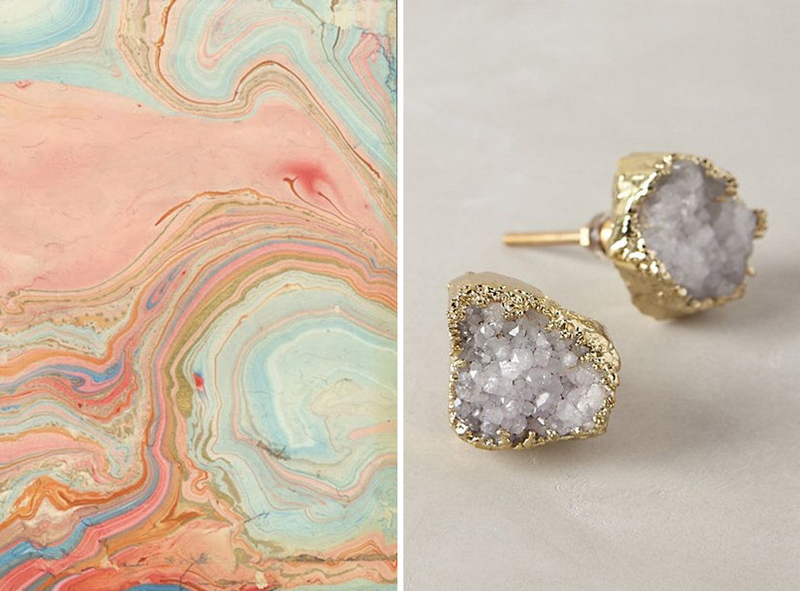 What initially inspired me were the images that I came across incorporating light pastel colors, watercolor designs, and geode-esque shapes. 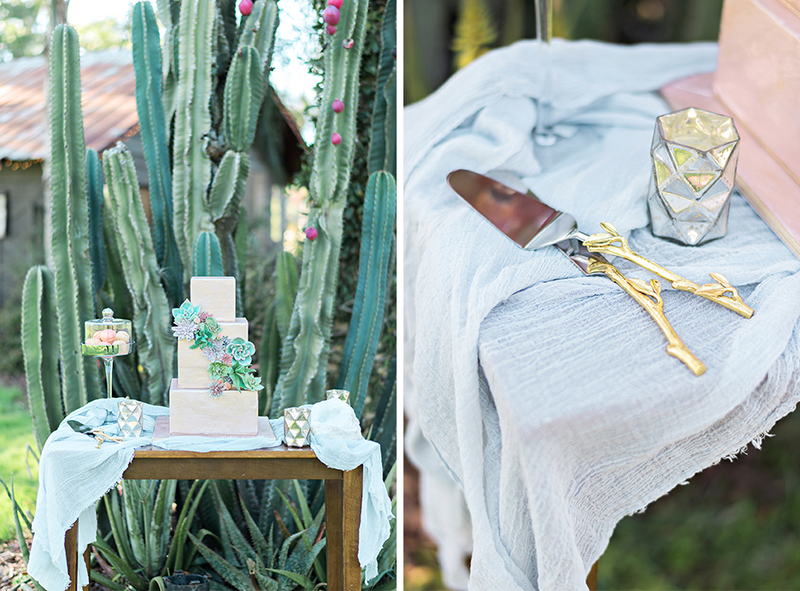 After this, I loved the incorporation of bronzy metals and golds to really bring in a Moroccan vibe. The second major aspect of inspiration fell back on my personal love of succulents. 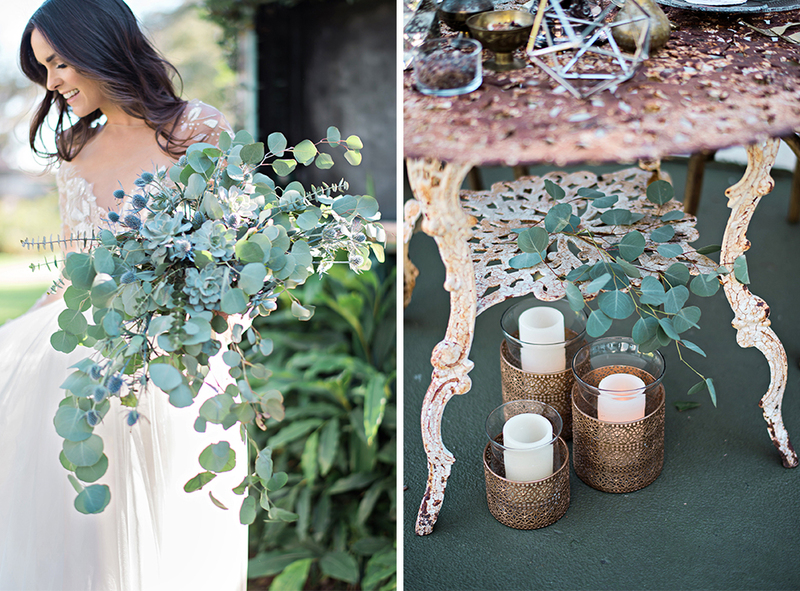 I adore the diverse shapes and naturalness of the plants, and I knew that this had to be a major aspect of the shoot. For a closer look at my initial inspiration, be sure to take a look at my original Pinterest board! Each vendor was chosen specifically for the shoot, because I knew that collectively they would portray my vision for the shoot in a way that I didn’t even know was possible. 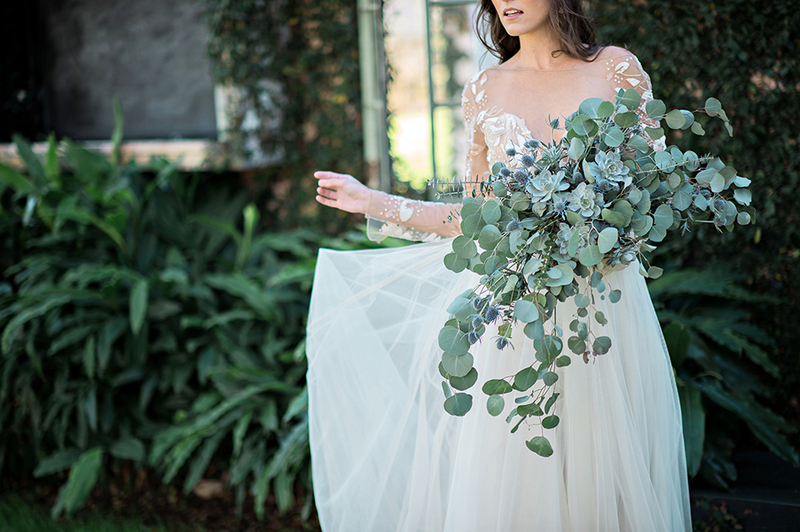 I always knew that floral design would be a major part of my concept, but not being in that industry I can honestly say that I did not realize how much planning and time would go into the execution of floral in this shoot. 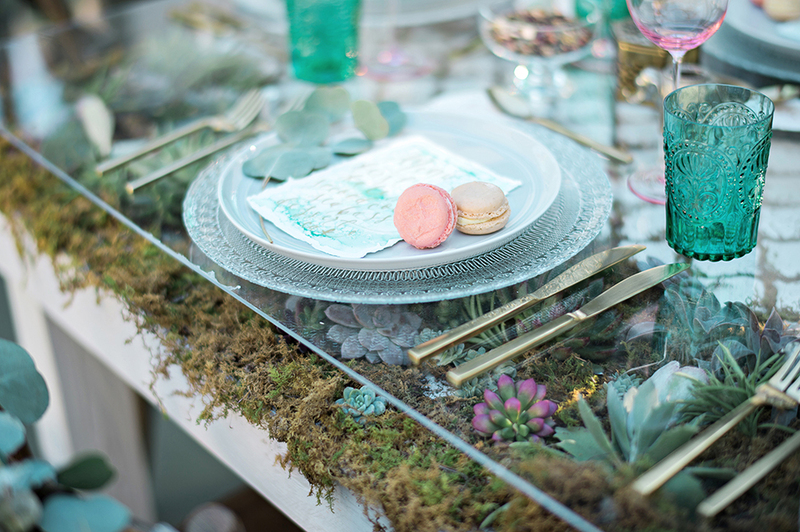 Bluegrass Chic could not have been more amazing; the succulent design inside of that table was truly one of a kind. They also provided us with a floral garland chair cover as well as both bouquets pictured in the photos. Give me white brick walls, tall cacti, and the smell of incense and I’m sold. 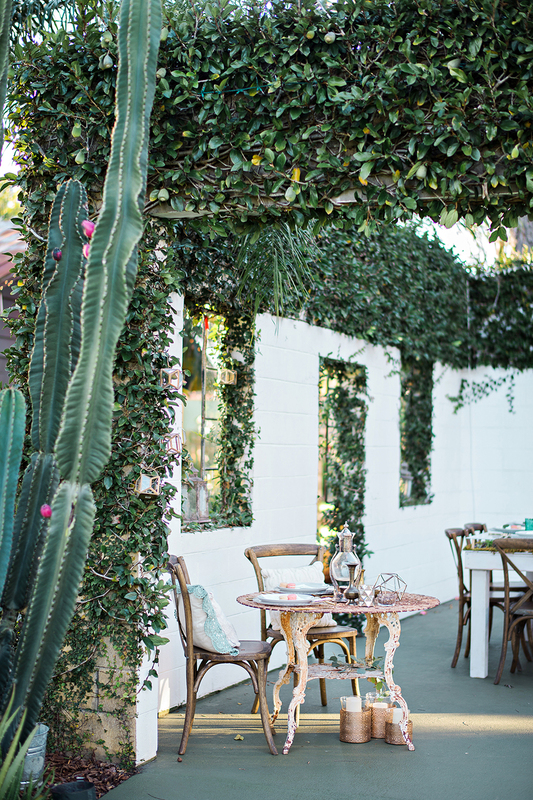 The Acre was truly the perfect location for the Moroccan Tea Party shoot due to its laid-back attitude and its natural aesthetic. We chose to set up each element of the shoot in a specific spot on the location. 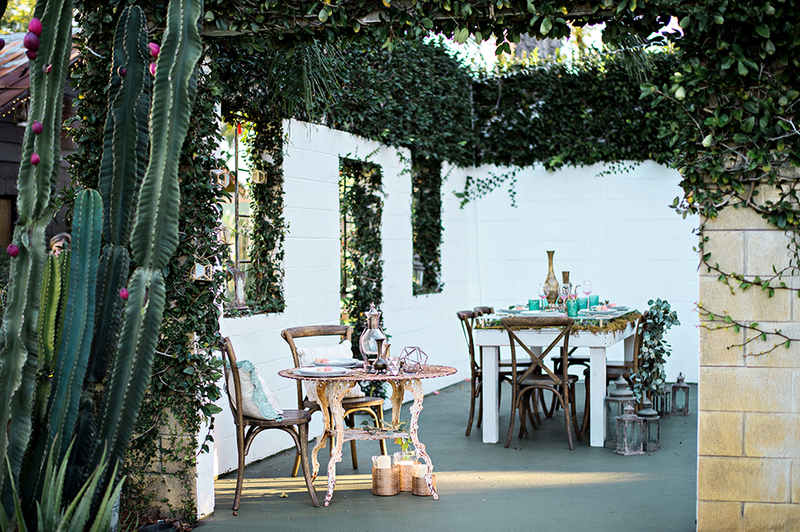 The main dinner table was placed in front of the brick wall to emphasize the beauty and detail of the hand-crafted furniture, the cake display was placed in front of the tall cacti to incorporate the hand-made sugar succulents, and the eccentric includes the greenery and white brick to get a little bit of every thing! 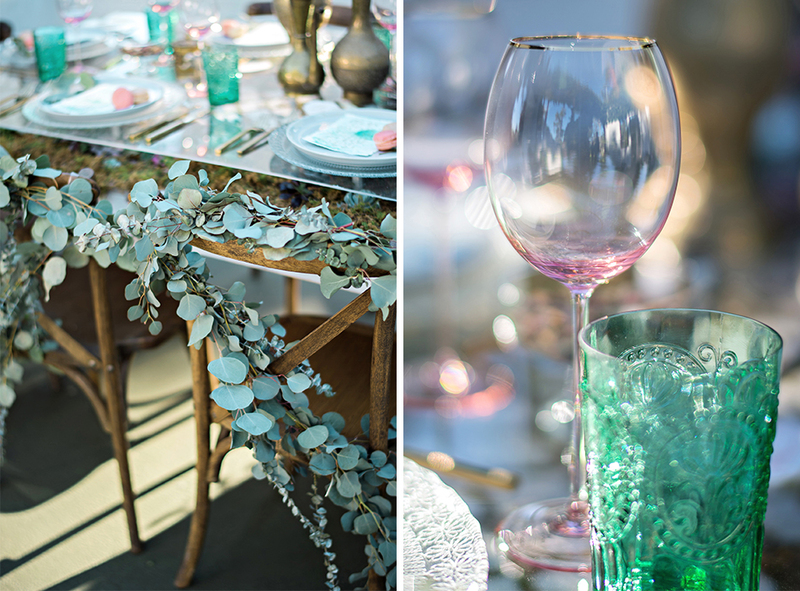 Visiting WISH Vintage Rentals was definitely one of my favorite parts of the planning process. It was so fun to look through all of the diverse furniture, unique decorations, and all of the other trinkets! 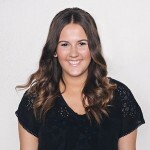 Lisa was so helpful and couldn’t have been easier to work with! 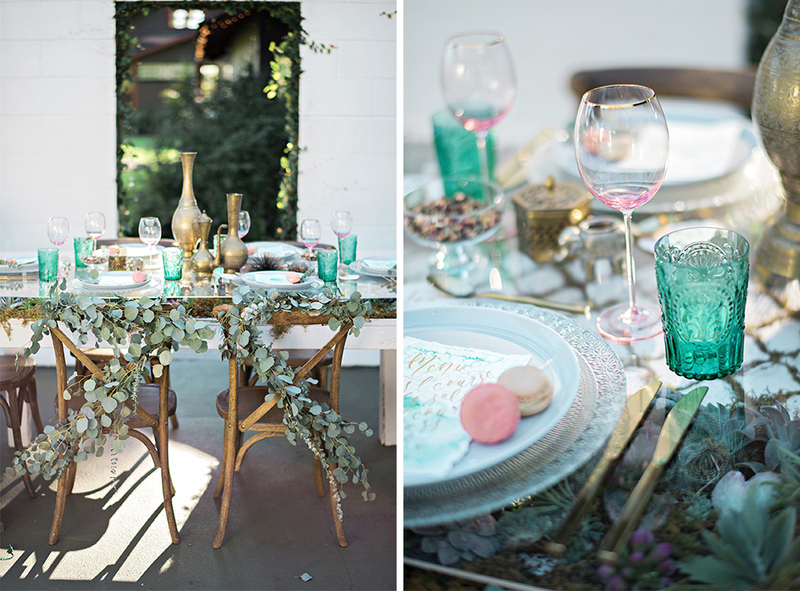 I can honestly say that all of the lanterns, candelabras, and other gold, Moroccan-esque details were absolutely the cherry on top of the decorated table! 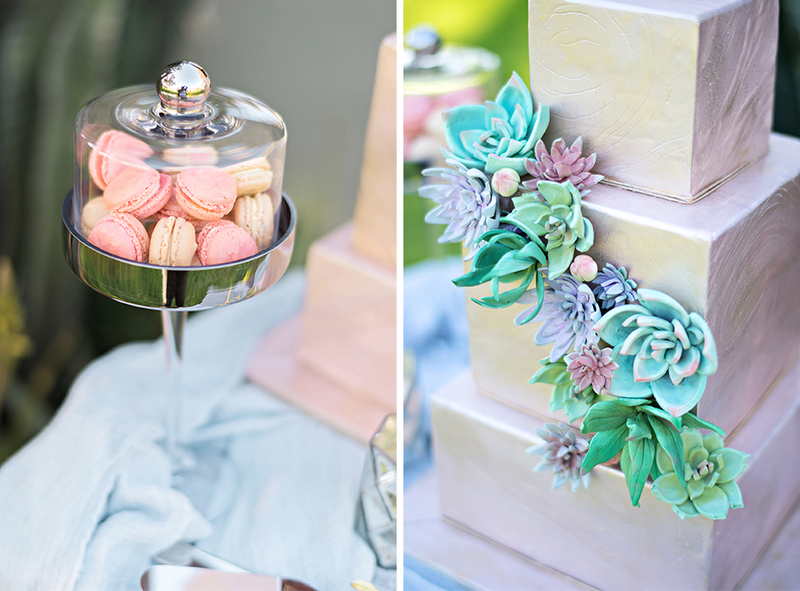 From the very beginning I knew I wanted The Sugar Suite to design the cake. Their work is incomparable and fabulously unique. Creative Director & Owner, Jennyfer, was absolutely amazing to work with and completely grasped the concept of the shoot. 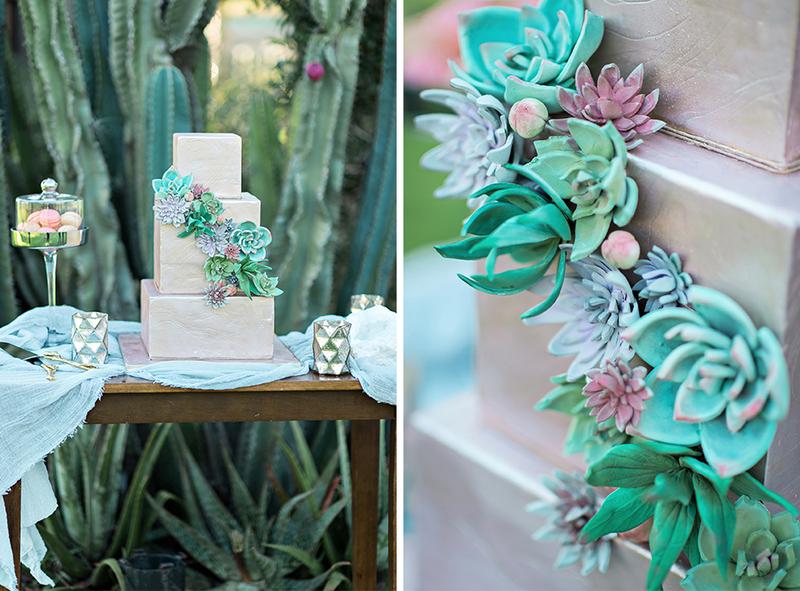 The cake is decorated in sugar succulents and was hand-painted in watercolor. All in all, the result was flawless! Working with a planner was some thing that I was completely unfamiliar with, but by the end of the shoot I was so incredibly happy that I had Lisa from An Affair to Remember to help me along the way. She was able to contact last minute vendors, and help with set up on the day of, both of which were incredibly crucial. Jillian Caro couldn’t have painted a more perfect description of what I had in mind for the models’ hair and makeup. I had wanted the hair to feel effortless, yet flowing and I was hoping for the makeup to be incandescent, with pink cheeks and luminous highlights. I genuinely feel that Jillian illustrated my vision, and was overall incredible to work with. 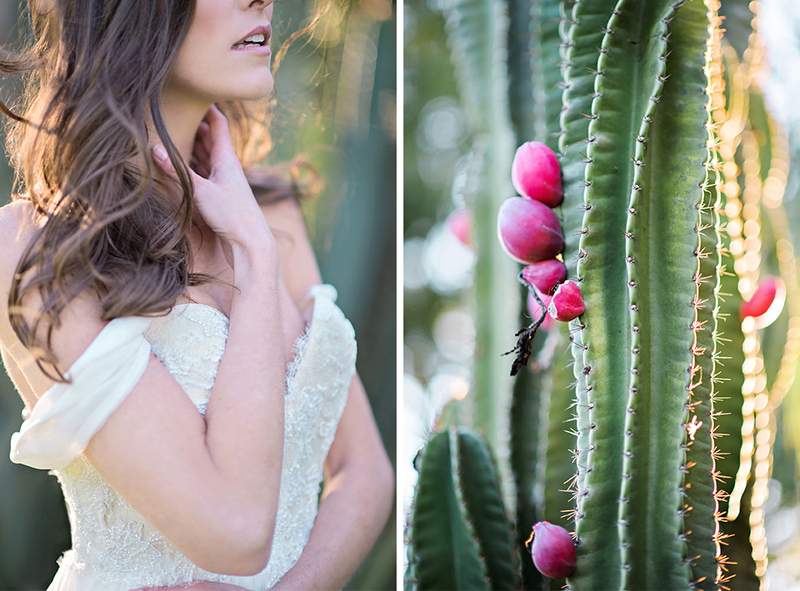 Choosing a bridal shop was one of the easiest decisions when planning my shoot. 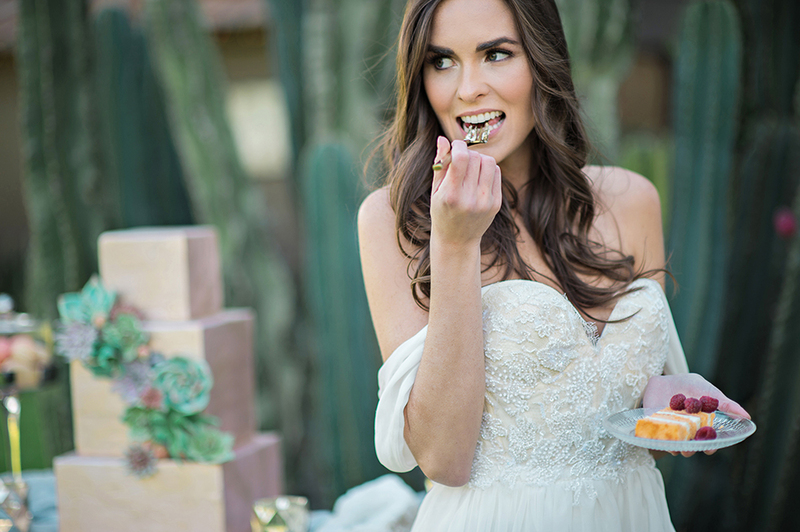 I knew that Alexandra at Calvet Couture Bridal would be the best person in helping me find the perfect gowns for the shoot. Going in, I knew that I loved Sarah Seven and Hayley Paige, which is exactly what I left the shop with. She helped in choosing gowns that epitomized the flowing and free-spirited vibe of the overall shoot. Words cannot express how happy my heart was when I first saw this table. It is by far the most unique table that I have ever seen, and could not have been more perfect. Kristen from A Girl and Her Glitter built the table, but also worked with me throughout the planning stages of the shoot, and was the true brainpower behind this beautiful piece. 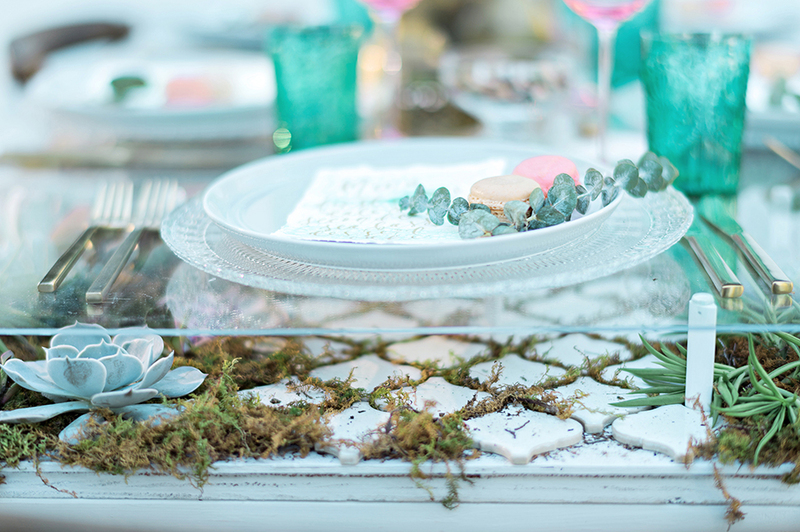 Bluegrass Chic crafted the floral, succulent and tile design throughout the inside of the table to bring in a natural feel. 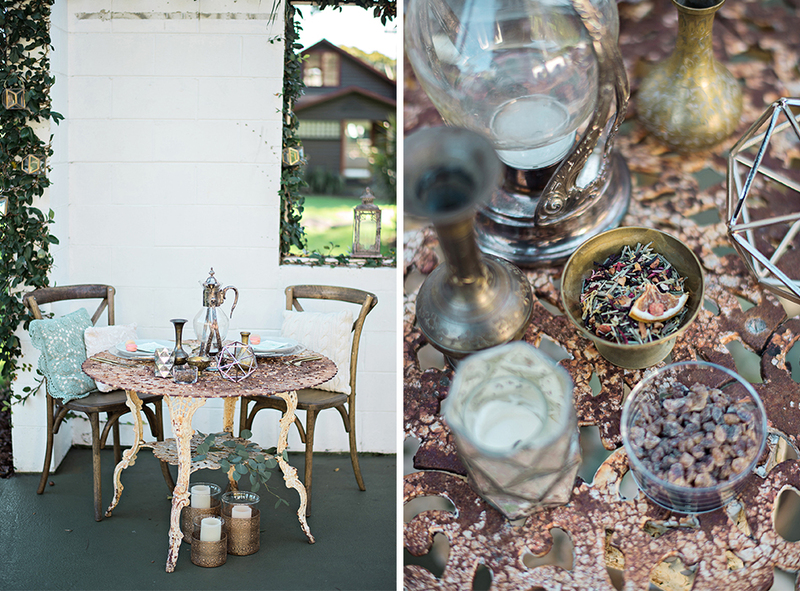 This table is a one-of-a-kind by A Girl and Her Glitter. I have truly never seen such a unique piece of furniture, and it truly made the shoot so unique. 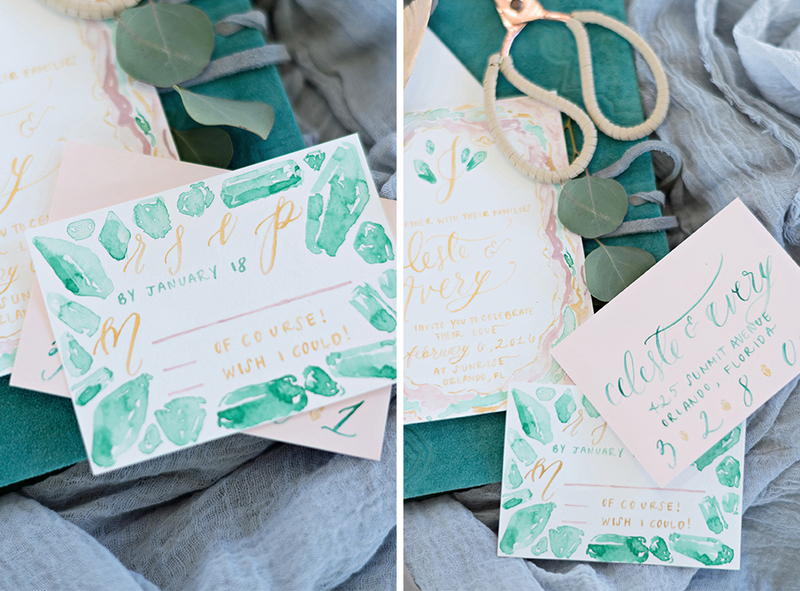 When Jessica from Simply Jessica Marie emailed me a sneak peak at the invitation suite, place cards, and menu, I actually almost threw my phone across the room out of pure excitement. 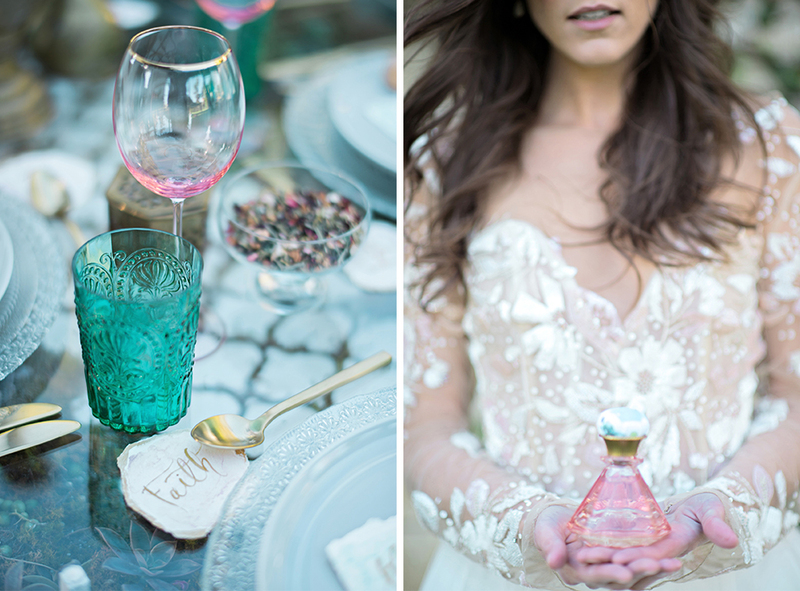 They were the most beautiful invitations, and they could not have captured the entire vibe of the shoot more. 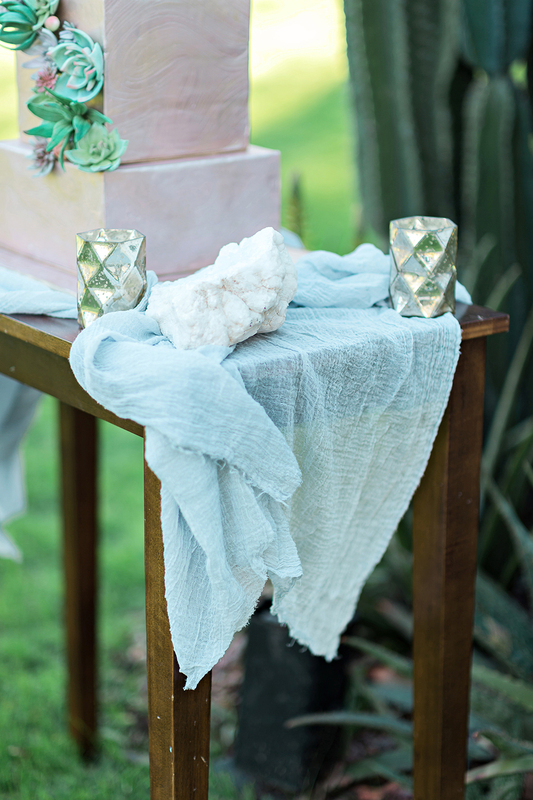 Every thing down to the unique names of the couple, mellow menu items, and light pastels paired with turquoise was absolutely superb! 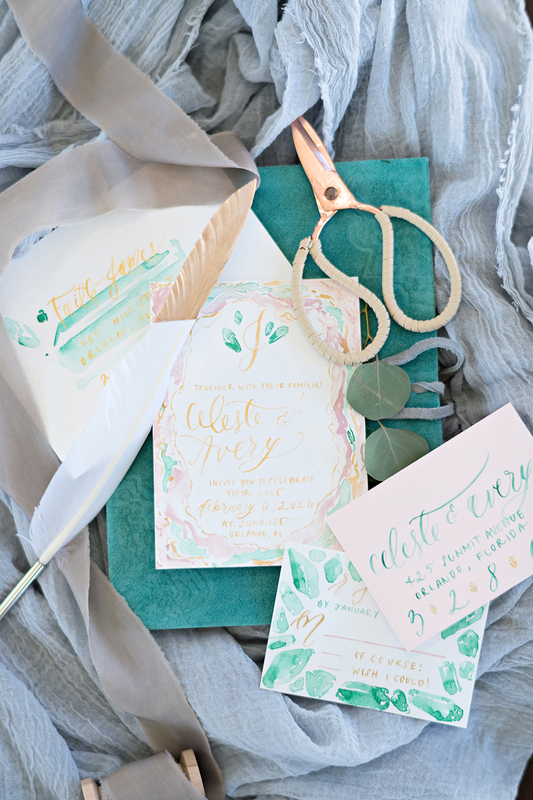 Jessica with Simply Jessica Marie hand-painted the invitation suite and all other stationery to match perfectly with the Moroccan vibe. Not only was the owner of Modern Muse Agency incredible to work with, but the models Bridgham and Carson were absolute gems! They were so incredibly wonderful throughout the entire shoot from having a group of photographers shooting them at once, to Carson reading a love poem for the video, to Bridgham allowing us to tape her dress onto her skin! 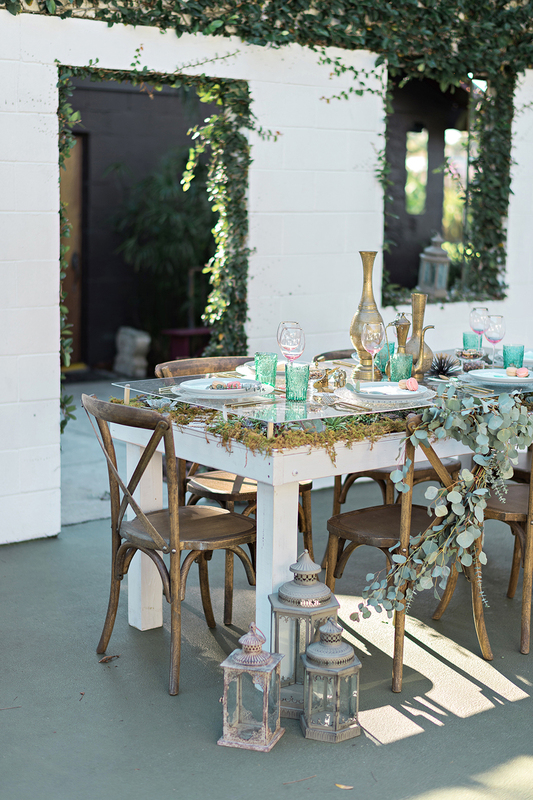 A Chair Affair supplied us with their French Country Chairs, which paired perfectly with the naturalness of the table. 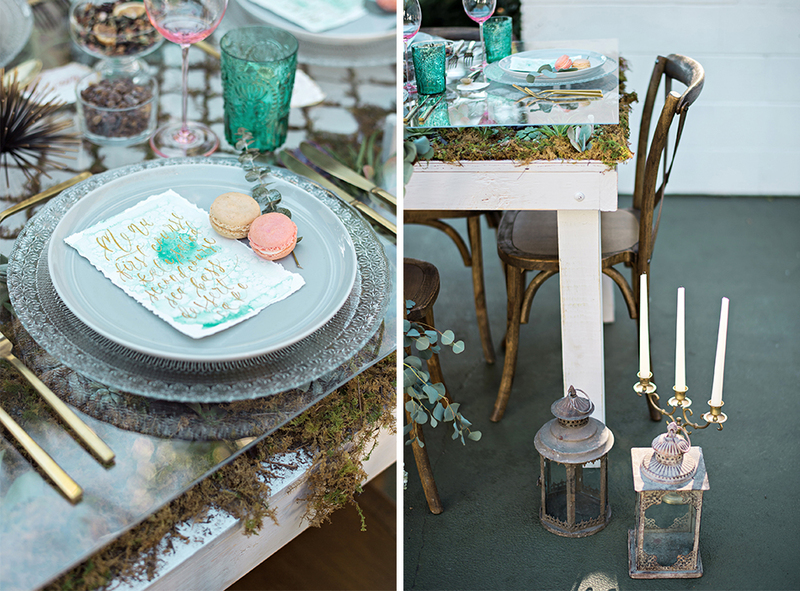 We also used their flatware at the table to bring in more of the gold look with the details. The macaroons from Le Macaron in Winter Park were a fun little treat that I thought would be a great addition to the tea party setting. 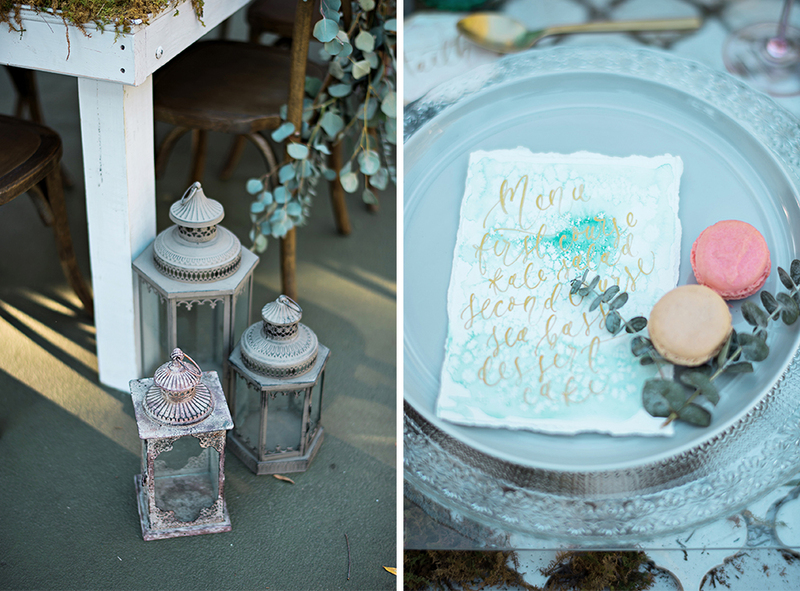 While it veers away from the Moroccan vibe, I thought the dainty little treat fit perfectly with all of the other details of the shoot. I met Jeffrey Stoner through Kristen Weaver a couple of times, and thought he would be such a fun videographer to work with. As a current film student, this is an aspect of the shoot that I was especially excited for. Jeffrey truly knows what he’s doing when it comes to capturing genuine emotion in his work; his vision and ideas meshed perfectly with my vision through his own personal aesthetic. Please see the video Jeffrey created below! 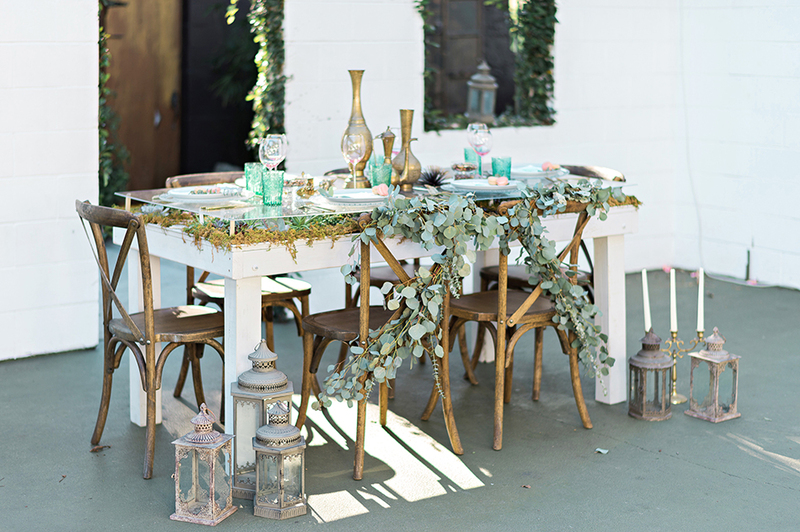 WISH Vintage Rentals contributed some amazing elements such as the lanterns shown, as well as Moroccan-esque details. 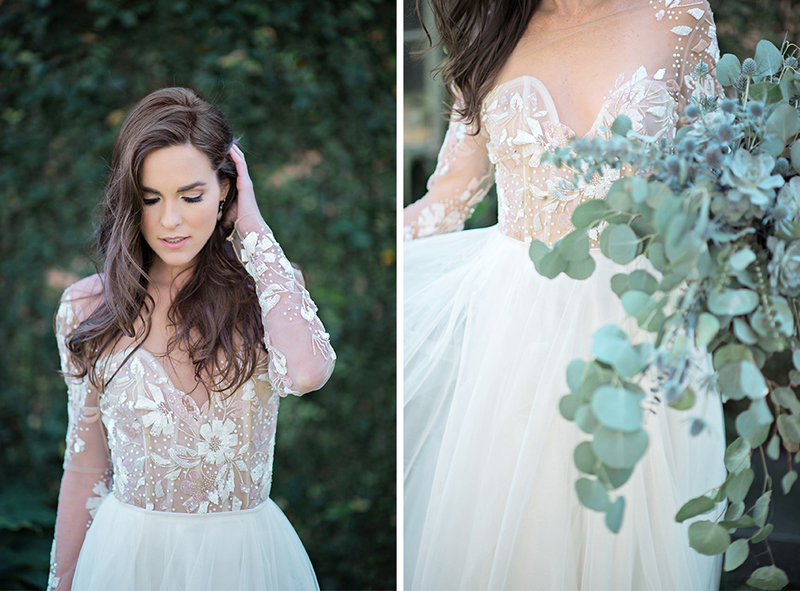 Bridgham from Modern Muse Agency is wearing the Hayley Paige Remmington, the first gown that I absolutely fell in love with! The cake is by the Sugar Suite. 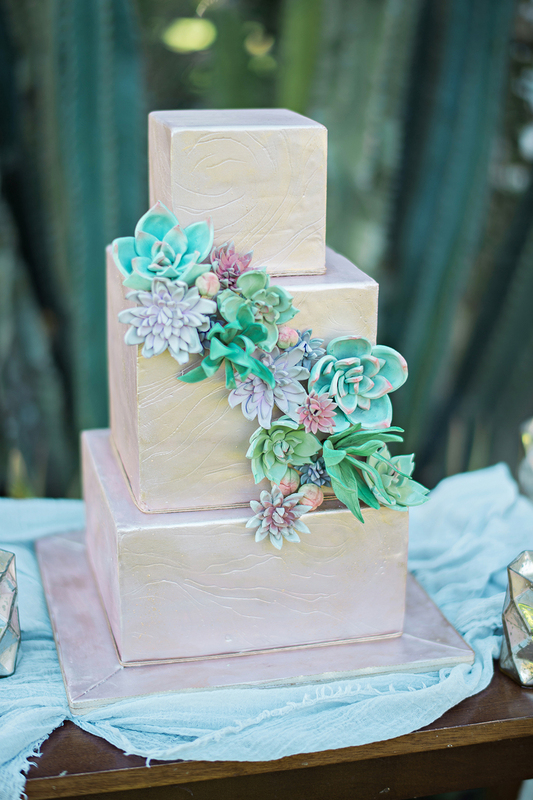 Jennyfer hand-crafted the sugar succulents and painted the beautiful rose gold metallic. 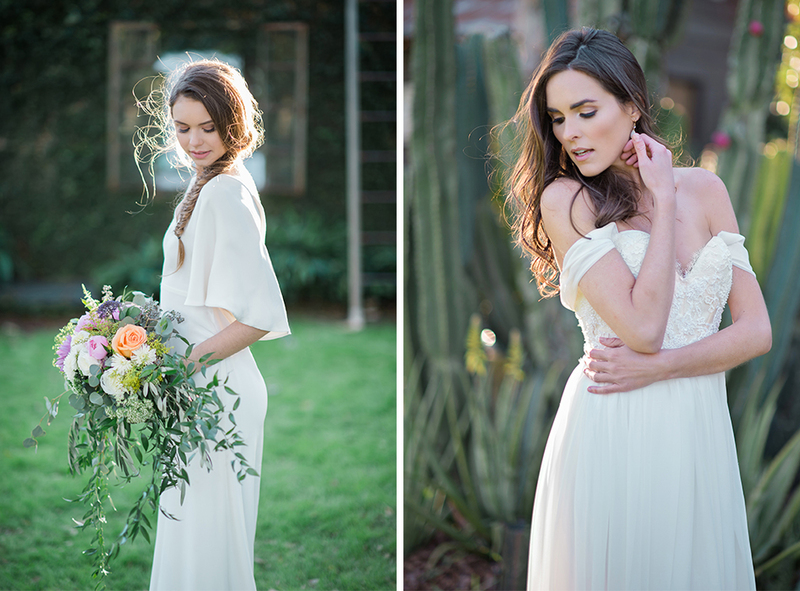 The elegance and natural feel of these two Sarah Seven gowns could not have fit more perfectly with this shoot. 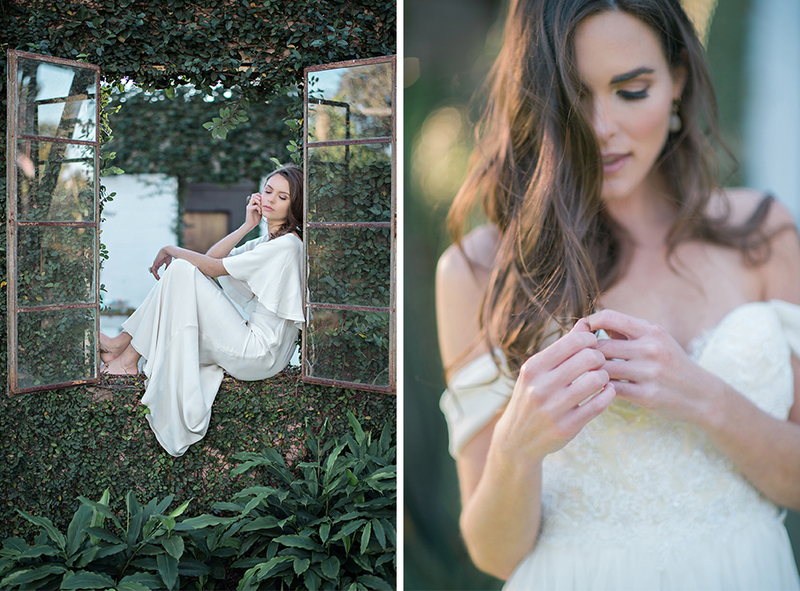 Carson from Modern Muse showed off the Sarah Seven Kennedy gown with such gentility.